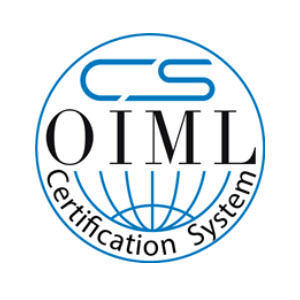 EXCELL, a global manufacturer and marketer of precision scales, announced today that it recently received the EU-Type Examination Certificate (OIML Approval) from NMi for its complete series of IP68 Waterprrof Scale. 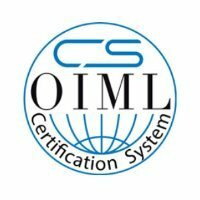 The EU-Type Examination Certificate is a compulsory certificate which has to be obtained before weighing instrument or components of the same type can be approved for sale within EU countries. The EU-Type examination encompasses tests with respect to conformity modules mentioned in Article 13 of Directive 2014/31/EU, which sets high standards for weighing instrument and safety performance. In order to achieve this standard, a weighing instrument must conform to a host of stringent European directives. "By obtaining this approval, EXCELL has taken another significant step for its complete series of IP68 waterproof weighing scales," said C.C. Lo, President and CEO at EXCELL. "It will help ensure the successful implementation of EXCELL's business plan for its complete IP68 weighing scales series in EU countries this year and for the many years to come." "There is significant market demand for high quality IP68 weighing scales and we are one of a few scale manufacturers in the world that can provide assured IP68 weighing scales. 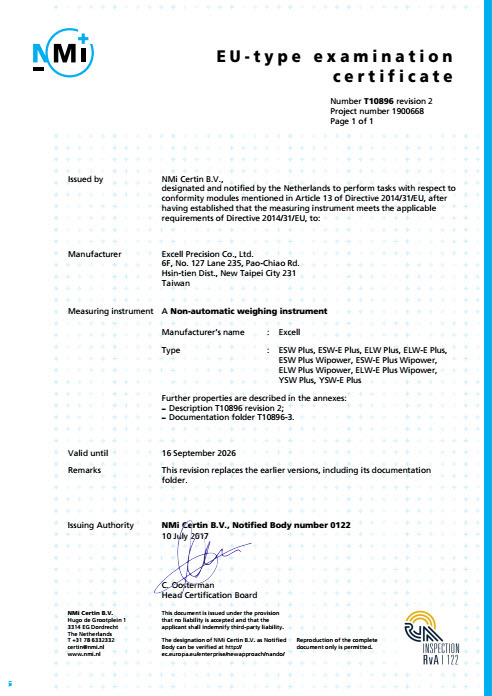 EU-Type Approval is another important milestone that we have now passed in offering users in EU member states access to cost efficient, quality assured, and environmentally sustainable IP68 waterproof weighing scales." commented Jeff Chien, Vice President of Sales and Marketing at EXCELL.